We do logos and custom designs! 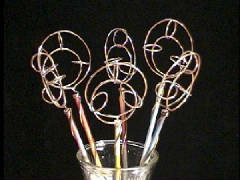 These magical gift bubblewands are an absolute favorite. 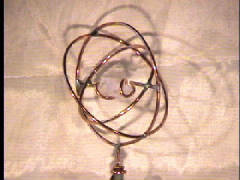 With an unstationary ring in the middle, you can dip this wand in your homemade bubblejuice ,wave and shake. 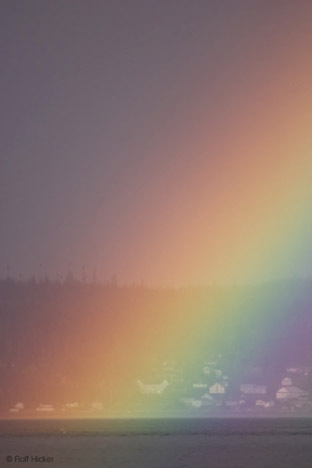 It makes a beautiful sound. 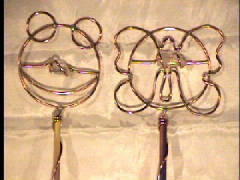 bubble formulae cards are included with each wand. db pre made secret bubble formulae is available to order with a container for your convenience. 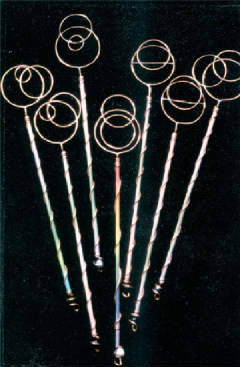 These elegant bubblewands are truely unique. 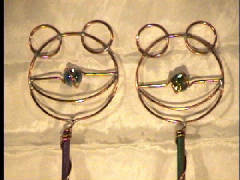 There is none other quite like them.They make a one -of- a- kind gift and a great converstional peice. They are rounded, like a globe or an atom. 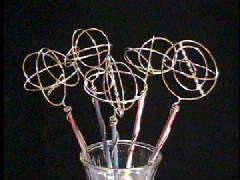 We also have 3-d marble and quartz crystal spinning bubblewands. 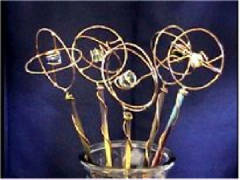 These wands spin in the middle of the globe making a marvelous creation of facsination and fun. 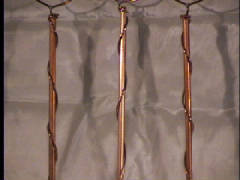 We also have solid copper bubblewands available. The handle in the middle is 100% copper.